We are delighted to introduce you to Manhattan Fruitier’s very own collection of wines! Wine is a natural extension of Manhattan Fruitier’s gift offerings. We hope you are as tantalized as we are by the possibilities. We are currently offering individual bottles of wine and wine gift baskets for delivery in New York State, including, of course, NYC. We know that buying wine can often be intimidating. There are so many choices and so much to know about wines from around the world. I recently tasted delicious bottles from Sardinia and Lebanon. Wherever grapes will grow, good wine is likely being made. It’s hard for even a wine expert to keep up. That’s why we put so much attention into creating a highly curated wine collection that won’t overwhelm you. Instead of thousands of wines to choose from, we offer fewer than 100 wines that reflect the highest standards in grape growing and winemaking. It’s the ultimate indulgence to enjoy a bottle of high quality bottle of wine from a small producer half way around the globe. And delivered as a gift in New York City, it’ll be prized and remembered. 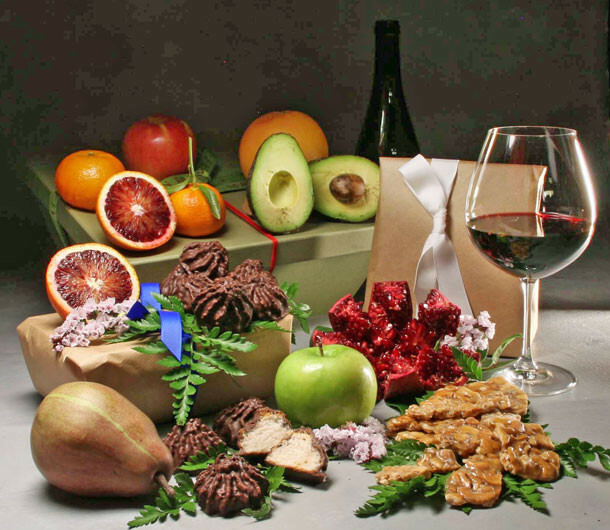 Whether you are purchasing an individual bottle of wine, or pairing wine with one of our gourmet food gifts, we will guide you like a sommelier in a restaurant. In fact, our wine selection is curated by sommelier Ryan Burkett, who trained as a sommelier in fine restaurants in Charleston and New York City. Ryan has a passion for introducing people to the wines and producers he believes in. Here’s the bottom line: Any wine you buy from us will be exemplary. We want your experience of buying wine, whether for yourself or as a gift, to be stress-free and fun. And we’ll deliver to your home or work anywhere in New York State. We offer wines of all tastes and styles with one very important thing in common: they are made by people who care. The wines we offer best express their creator’s intentions. We choose wines from grape growers and winemakers (often one in the same) who want to convey their sense of place, or terroir, to us through the grapes grown on their land. Wine making is part art and part science. It involves working with an unstable product (fermenting grape juice) which has to be monitored and sometimes gently massaged to ensure that it stays on the path to become an enchanting libation. The best wine makers gently guide the fermentation process, without heavy handed interventions. We have a special affection for “natural wines,” namely, wines made from grapes that are grown organically or biodynamically, and made with no or very few additives. The idea is to let the grape speak to us through the wine. This is the magic of wine: You can be mentally and emotionally transported to France, Italy, Spain, Australia, California, Sicily … while sipping wine in your NYC apartment. We will be blogging regularly about wine so that you can travel to amazing places and share the stories of people with a passion for what they do. Wine is geography, history, culture, language, and countless other facets of life. But really, wine is about the pleasure of drinking it. Enjoy! It’s not obligatory to bring or send a gift for the Rosh Hashanah holiday, but it’s a thoughtful gesture that will certainly be appreciated. 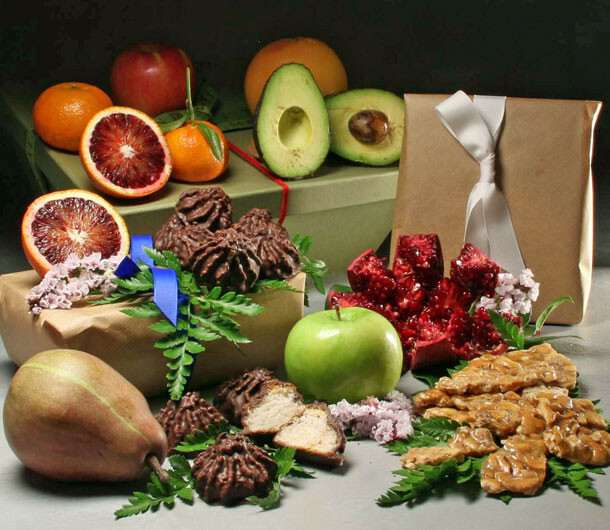 Food gift baskets are great Rosh Hashanah gifts to give, since the Jewish holiday is celebrated with particular foods. If you are going to give a gift of food for the holiday, make it classic. For example, during Rosh Hashanah (the Jewish New Year), eating honey and other sweet dishes symbolize the wish for a “sweet” New Year. It is also customary to eat fruits, such as apples and pomegranates. It’s a good idea to make your food gift Kosher, unless you know for sure that the family does not keep a kosher household. Here are 7 great Rosh Hashanah gifts to give or send for the holiday celebration! Probably more than any other gift of food, honey and apples are the most popular for Rosh Hashanah because they are typically a focal point of the holiday meal. Dipping apples into honey is a Rosh Hashanah tradition. Apples are a plentiful fruit in the Fall when the Rosh Hashanah holiday is observed. Honey is significant not just for its sweetness, but also for the industry of the bees that made it and is a reminder to give of oneself in the coming year. 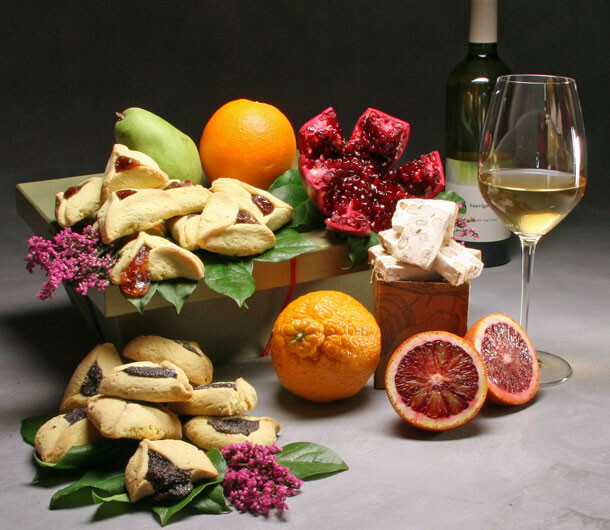 We offer two classic kosher Rosh Hashanah gifts that will be sure to please any gathering. Our Kosher Bees Knees gift includes the delectable combination of seasonal apples, kosher honey from the Catskills and Kosher peanut butter. Our Kosher Honey and Nougat Hamper contains the classic ingredients of seasonal fresh fruit and kosher honey for dipping, as well as kosher honey almond nougat – a chewy delight! Fruits other than apples are also traditional at Rosh Hashanah. Pomegranates are frequently included on the Rosh Hashanah dinner table because the abundance of seeds represents the many good deeds that will be done in the New Year. Fruit is naturally kosher, so giving a fresh fruit Rosh Hashanah gift basket will always be a safe bet! 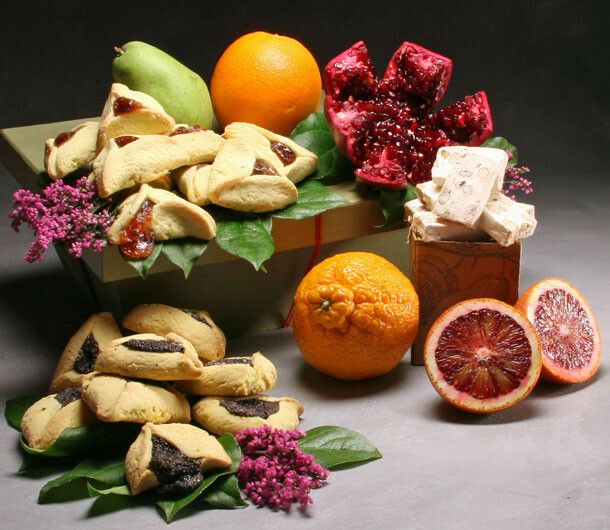 Manhattan Fruitier’s fresh fruit gifts for Rosh Hashanah always include pomegranates and apples. Sweet foods are a main feature of a Rosh Hashanah celebration in the home. A Rosh Hashanah gift idea that combines fresh fruit with kosher sweets, such as chocolate babka (a traditional treat at a Shabbot dinner), cocoa-dusted almonds, and chocolate-dipped pomegranate seeds, hits all the central themes of the holiday. If you like to cook, there are several time-honored dishes served at a Rosh Hashanah meal that you could make. However, if you do not keep a kosher kitchen yourself, you should probably choose to buy something already made and certified Kosher. Your host may encourage a pot-luck approach to filling out the Rosh Hashanah table, particularly if the party attending is large. Tayglach (a honey and nut pastry), and honey cake are two great Rosh Hashanah gifts to bring, whether homemade or not. The blessing of the wine is always part of a Jewish Sabbath or Jewish holiday so bringing a kosher wine is a perfect gift for Rosh Hashanah. 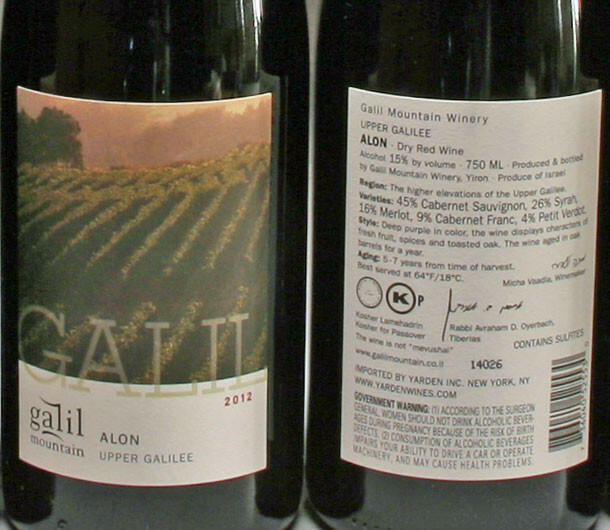 There are many really great kosher wines available these days, far elevated above the classic Manischewitz! You can’t go wrong if you bring wine to a Rosh Hashanah celebration. If it’s not consumed during the holiday, it will be on hand for the next occasion. It is customary to eat something “new” on Rosh Hashanah because it symbolizes the newness of the coming year. One common “new” food brought to the Rosh Hashanah dinner table is an exotic fruit – something that has never been tried. You can have fun shopping the import markets in your city. Asian markets specifically tend to carry lots of unusual and tropical fruits. Rambutans, originally from Malaysia and Indonesia, are curious looking fruit with a delicious, sweet white flesh. They taste and look like lychees on the inside, but the outside looks very different with green spines like spiky hairs that stick out of the outside shell. Champagne grapes are tiny, sweet, seedless, delicate cousins of the more familiar grapes. Because their season is short and they are so fragile, many produce stores do not carry them and so they may be considered quite exotic for most people. Champagne grapes will look all the more beautiful when arranged on a flat dish and placed in the center of the dining table. Bringing an exotic fruit to try for the Jewish New Year is a great gift idea and will definitely get you noticed for your contribution! It is customary to remind your loved ones how much you care and how grateful you are to have them in your life. Bringing a classic “Shana Tovah” (“Good Year”) card with your personal sentiments to the hosts of the Rosh Hashanah dinner makes a fitting and poignant gesture. Consider adding the card to your Rosh Hashanah gift basket!